Down to number 7 on our list of “Top 10 gadgets for Tech heads this Christmas” as we draw ever closer to Christmas day! This Gadget is great for so many reasons. Techies tend to spend every god given hour stuck to a computer screen; researching this and coding that. Conversation can practically be non existent!! Q: what does a techie and everybody else for that matter need?…. A: Food and water or even coffee and toast !! 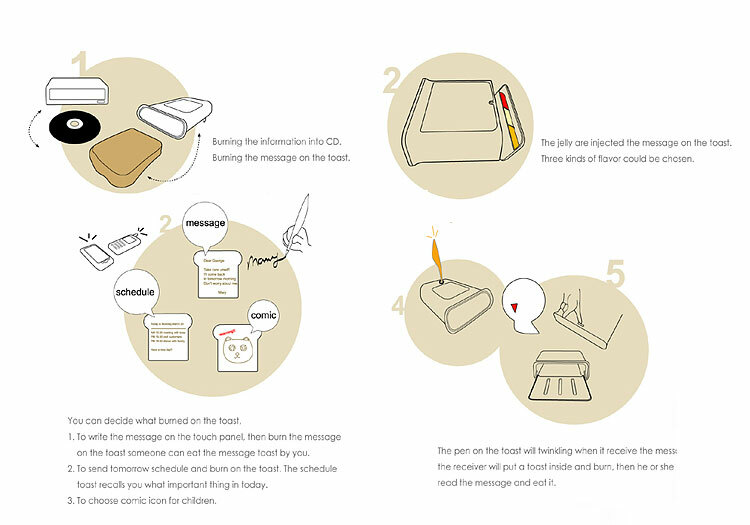 Sasha Tseng has invented this ingenious idea a toaster that you can write notes on !! whether it be “I Love You”, “Remember The Movie starts at 9” or even “I’m leaving you and taking the Car” This gadget is an ideal gift for Christmas this year and a great make to get your message across !! !